Making kids clothing is a wonderful way to create adorable, one-of-a-kind looks that won't break the bank. Tons of great patterns are on the market, but it helps to have some extra tips to make your projects successful. With a little time, some awesome fabrics, and some sewing know-how, you can be the one to make those favorite skirts, dresses, and outfits. 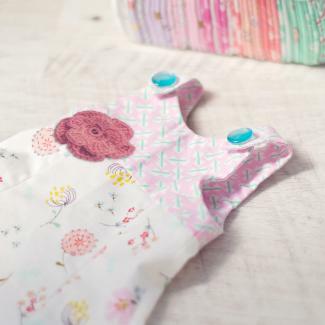 The great thing about making kids clothes is experimenting with playful fabrics. Once you've considered durability and comfort of the materials, you get to have some fun. Look for bright cotton prints with everything from unicorns to cherries. Choose vibrant colors for solids. You can even mix prints in ways you might not do with adult clothing. Measuring a child can be a challenge. They tend to move more than adults, and this can throw off your numbers. Choose a time when the child is calm and quiet, such as right after a nap. Use a distraction like a favorite book or television show to help make the process go smoothly. Then measure a second time to check your work. If you find any discrepancies in your numbers due to movement, get out the tape measure a third time. Turn the clothing item inside out. Examine how it was constructed, identifying which seams were completed first. Use a dressmaker's pencil to label the garment on the inside, noting how the seams join. Use a seam ripper to take the seams out in the reverse order, opening the newest seams first and the oldest last. Take photos as you do this so you can remember how to reconstruct the piece. Lay each piece out on a sheet of pattern paper and carefully trace around it. Make note of the seam allowance and other factors, such as zippers. Carefully reassemble the original garment and use the pattern to construct your own version of it. Appliqué an animal-shaped pocket to a shirt or skirt. Make a fabric flower to attach to a skirt or dress. Add interactive elements like a vehicle or animal attached to a string. Make a cat-themed sundress with a tail appliquéd on the back and kitty face and ears for the bodice. Try a train-themed vest. Use a simple vest pattern, but appliqué or embroider a track in a crazy route. Add a train attached to a string. For a child who loves princesses, modify a standard skirt to have gathered pull-up areas and plenty of ruffles. Appliqué simple, bright-colored fish to any blue garment for an instant ocean-themed outfit. Making custom kids clothing is a fun way to show your love for a special child. 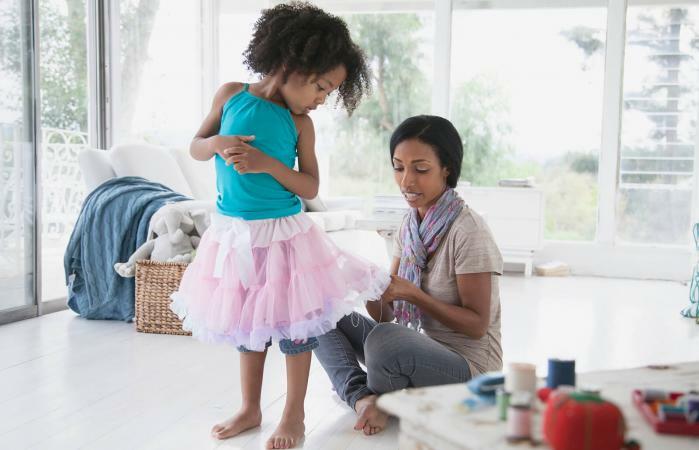 It's also wonderful for helping kids show off their personal style and letting you exercise your creativity at the same time. Remember, the key element in any great handmade kids outfit is fun!